The Internet Governance Project releases publications regularly. Available on this page are policy analysis, concept papers, comments filed, testimony, book reviews, seminar reports, and project reports. All publications require Adobe Acrobat Reader to view. Mueller, M. (2017) Is Cybersecurity Eating Internet Governance? Causes and Consequences of Alternative Framings. Digital Policy, Regulation and Governance, Forthcoming. Kuerbis, B. and Badiei, F. (2017) Mapping the cybersecurity institutional landscape. Digital Policy, Regulation and Governance, Forthcoming. Mueller, M. (2015, 09). The IANA Transition and the Role of Governments in Internet Governance. 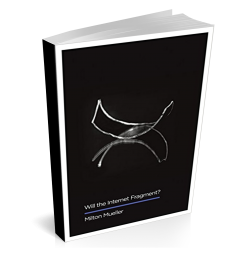 IP Justice Journal: Internet Governance and Online Freedom Publication Series. Download here.